In a small bowl, whisk together olive oil and next 3 ingredients. Line several large baking sheets with aluminum foil. Arrange melon and vegetables in a single layer on pans, and drizzle with half of olive oil mixture, turning to coat. Preheat grill to medium high heat (350 to 400 degree). Grill peppers and onions for 6 minutes per side or until tender. 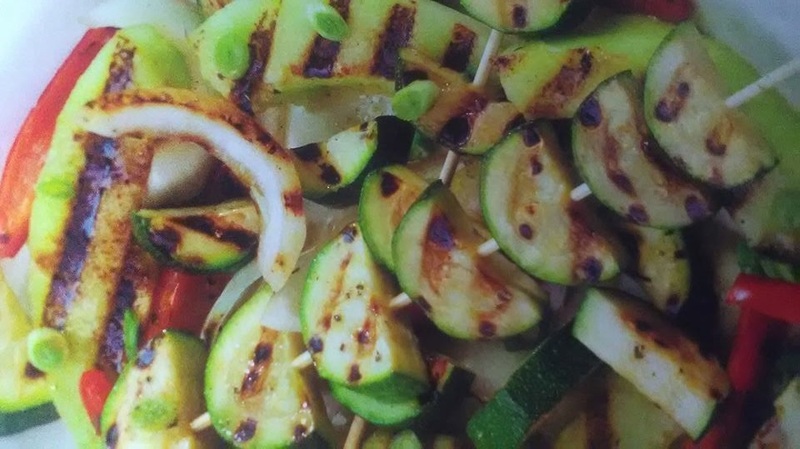 Grill zucchini for 5 minutes per side or until tender. 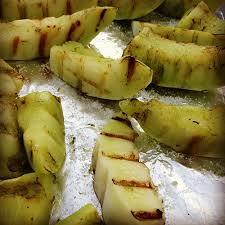 Grill melon for 30 seconds per side or just until lightly browned. Place vegetables and melon on a serving platter; drizzle with remaining olive oil mixture, and sprinkle with green onions. Serve immediately. End.